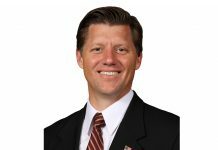 District 38’s State senate Representative Joel Anderson met with the residents of Lakeside this past Tuesday to discuss local and statewide issues attendees wished to address. 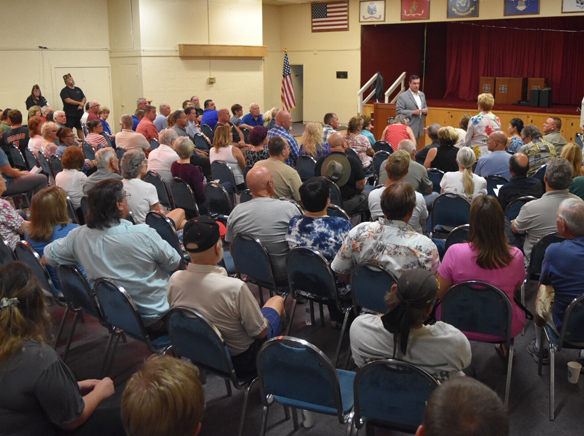 The community coffee town hall meeting held on July 25 at the Lakeside VFW Hall allowed local constituents to voice concerns regarding state affairs directly to State Senator Joel Anderson himself. About 150 residents attended the meeting hosted by Lakeside Community Planning Group member Mike Anderson. 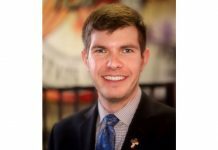 This particular town hall meeting is not the first of its kind, as Anderson aims to hold 6-8 different Community Coffees around San Diego annually in hopes of creating “effective, efficient, accountable government” for the nearly one million constituents he represents. Though that number is high, the gatherings are still on the intimate side; all attendees had the opportunity to introduce themselves and ask the Senator a question. Topics ranged from legislative updates on SB 18 (known as the Children’s Bill of Rights), SB 54 (commonly referred to as the ‘sanctuary state’ bill), and gun rights. Local infrastructure was also touched upon, in addition to the upcoming rise of gas taxes due to the extension of California’s cap-and-trade program in response to carbon emissions. Should you have any comments, questions, or concerns for the Senator, you can call his El Cajon office at (619) 596-3136.